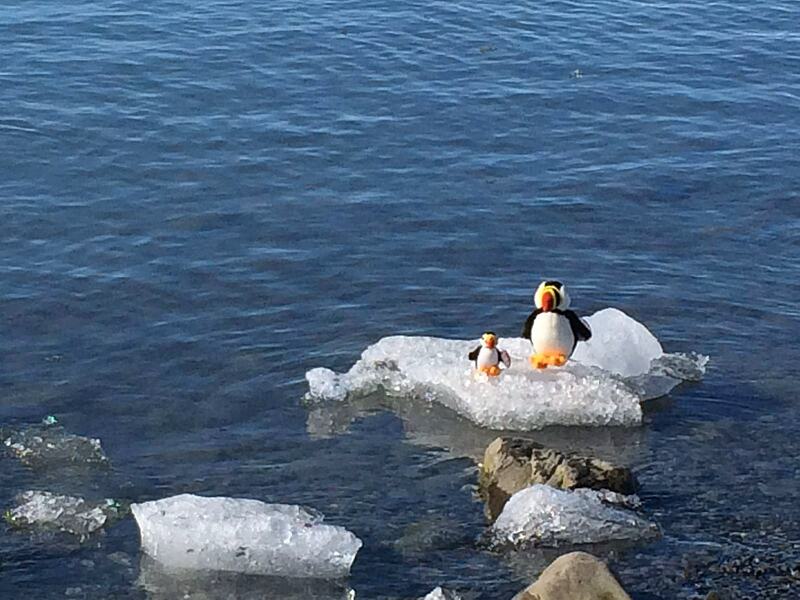 This is a rare sight of finding a couple of penguin toys on floating ice. Only when one looks closer one would realize they are toys. This is interesting and somewhat funny! Photo taken by my wife Linda in Iceland.